My home town of Albany, capital of the state and a city much changed by the construction of the Empire State Plaza under then – Governor Nelson Rockefeller, an exercise in grandiose architecture and megalomania that cost 2 billion dollars and was the largest government complex ever built in North America. The project began in 1965, disrupted the downtown for years, dislocated thousands of people and destroyed an entire area of the city. “Aggressively modernist” is a polite way to describe this marble and stone plaza, which looks like it could have been designed by Albert Speer. One of my brothers worked on one of the Plaza’s construction crews, and people here are still arguing, fifty years later, about whether the Empire State Plaza vastly improved our city or destroyed much of its old, essential character. The ideal SF story has original, striking ideas rooted in science and informed speculation, involving characters, and luminous prose. Most of us fall short of those goals most of the time. A novel and a novella I’d rather be closed-mouthed about. 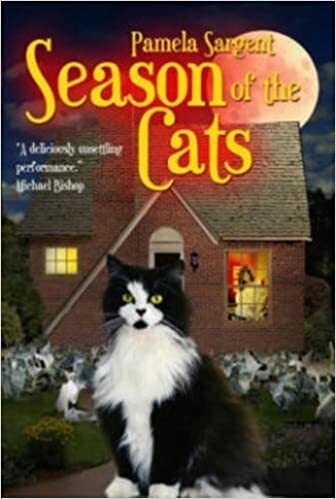 A new novel of mine, Season of the Cats, came out in 2015 and will be available in 2017 in trade paperback from Wildside; that’s a fantasy set in the present, not SF. Q. And if people like your story in the book, what other work of yours should they seek out? Assuming that readers of this book are interested in large-scale engineering projects of all kinds, I’d recommend my Venus trilogy (Venus of Dreams, Venus of Shadows, and Child of Venus), all available through Open Road Media, and a related volume, Dream of Venus and Other Short Novels, out from Wildside Press. Writing novels about the terraforming of Venus, an extremely challenging feat of engineering, took me over a couple of decades and might be the most ambitious SF I’ve ever tried.